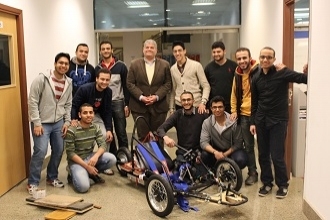 Earlier in March 2016, a team of 13 undergraduates represented Zewail City in the first Global Hybrid Electric Challenge in Egypt (GHEC-E), held at Soma Bay Resort, Hurghada. 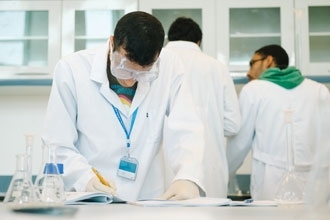 At Zewail City, 2015 has been a busy year full of research, achievements, awards, and hard work. 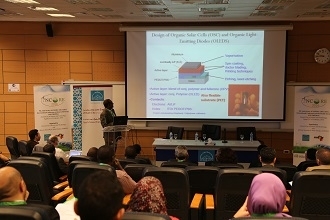 In celebration of the 5th anniversary of the African Network for Solar Energy (ANSOLE), Zewail City of Science and Technology and ANSOLE are organizing the International Conference on Renewable Energy (INCORE2016). 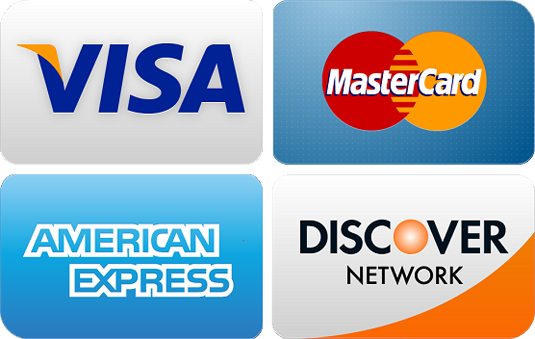 Earlier in December 2015, 13 teams of Zewail City undergraduates competed in the inaugural Hult Prize competition, held at Zewail City, for a chance to win $ 1 million. 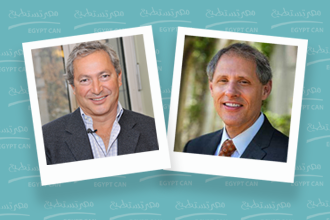 Zewail City of Science and Technology is pleased to announce that Prof. Thomas F. Rosenbaum, president of California Institute of Technology (Caltech), USA, and Mr. Samih Sawiris, founder and chairman of Orascom Development Holding (ODH.SW), Egypt, joined its Supreme Advisory Board (SAB). 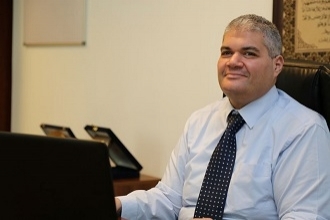 The Arab Thought Foundation has awarded Professor Salah Obayya, vice chair for academic affairs at Zewail City of Science and Technology, the Arab Creativity Award 2015 for science on Monday, December 7, 2015. With the increasing impacts of climate change on our society, reducing emissions of Carbon dioxide (CO2) and separating it from non-harmful flue gas is essential for mitigation measures. 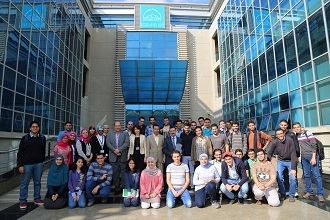 The Center for Fundamental Physics (CFP) at Zewail City hosted the 5th Egyptian School on High Energy Physics during the period from November 14 to 19, 2015. 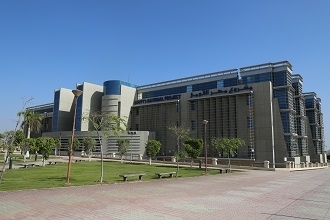 The school aims at providing extensive courses on the basic topics of theoretical, computational and experimental particle physics for Egyptian and regional graduates. 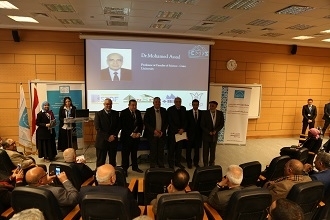 Against its tradition of arranging technical events, IEEE Zewail City Student Branch dedicated its 2015 closing ceremony to present the Disitinguished Teacher Awards to selected faculty members as a gesture to show their gratitude for the the continous suport they receive. 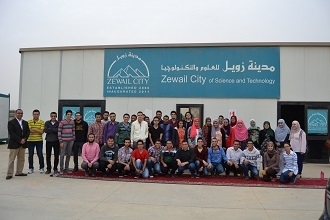 A group of 40 University of Science and Technology students got the chance to tour the new campus of Zewail City of Science and Technology at October Gardens, 6th of October City, on November 4, 2015. The visit, organized by the Student Affairs Office, aims at providing students with a firsthand account of the ongoing progress at the new campus. 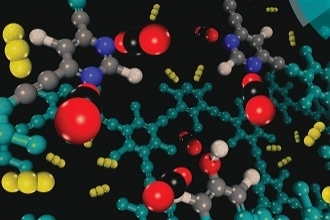 The Academy of Scientific Research and Technology (ASRT) announced the winners of the 2014 individuals and authorities prizes on October 27, 2015. 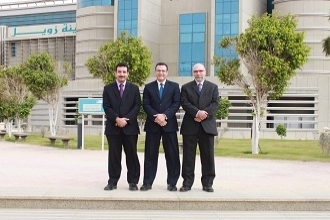 Zewail City scientists Ibrahim El-Sherbiny, Ahmed Maarouf, and Mohamed Farahat were named among the recipients of the ASRT awards this year. 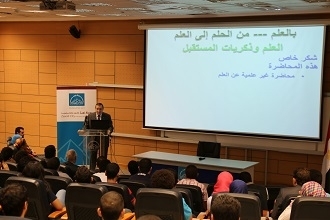 On October 19, 2015, Essam Sharaf, professor of road engineering at Cairo University, visited Zewail City of Science and Technology where he gave a talk to more than 100 student and faculty member. 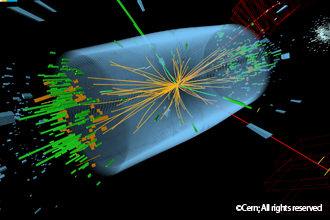 Titled “Dream to Reality through Science,” Sharaf’s talk focused on the important role science plays in shaping the future.